Funds for the Foundation were raised from the sale of Norman’s treasured natural history book collection, widely regarded as the most complete private collection celebrating the wonder and beauty of Australia’s fauna and flora. Norman Wettenhall had from his youth a great love and appreciation for Australian art, culture, history and this continent’s unique ecosystems. Like many people who make a difference, while he was out of step with public opinion of his time, he possessed the necessary selflessness and stubbornness, the dedication and determination to convince others to share his vision and walk alongside him. Although city born and bred, his holidays were spent doing the rounds of his many country cousins or mucking about on the family’s 10 wild acres at Mt Martha. A curious boy, he became fascinated by the antics of the yellow robins at Mt Martha and a life-long passion with birds was born. For over half a century he laboured tirelessly for his beloved birds, first joining the Royal Australian Ornithologists Union (now BirdLife) after he left the Navy at the end of World War II in 1945. Trustee of World Wildlife Fund for Nature from 1985. 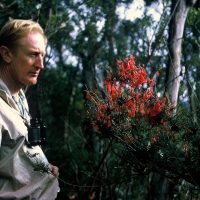 One of his major achievements at the pinnacle of his life was to almost singlehandedly raise $5.5 million so as Birds Australia (BirdLife) could complete the first five volumes of the Handbook of Australian, New Zealand and Antarctic Birds, (HANZAB) an encyclopaedia of all the bird species of our region. This ambitious project encapsulated much of his philosophy to do proper research to collect the facts; keep records and publish so others may learn; and ensure that the most up-to-date information is used for the basis of sound decision-making. Since Norman’s death in the year 2000 at the age of 85, the Foundation has continued to contribute towards completion of the final two volumes in the HANZAB series. 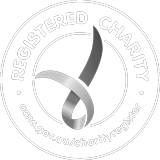 Other projects funded include supporting local communities restore habitat for threatened species, such as the Regent Honeyeater; to funding the archiving of the records of the noted botanist of Australian flora, Jim Willis.